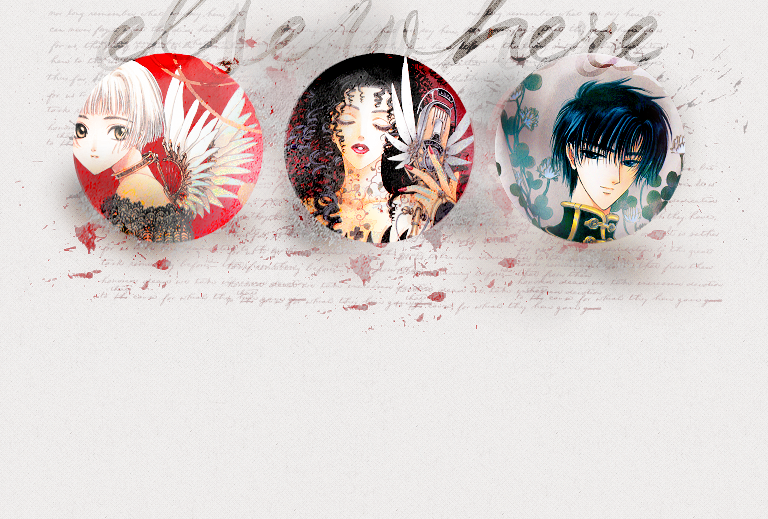 Welcome to Elsewhere, the fanlisting for the incomplete manga series CLOVER by CLAMP. In a cyberpunk world, the Clover, Suu, has a wish - a place that she must go, even if it costs her own life. There are other Clovers, too, all with their own stories to tell, though all inescapably wrapped up with the power Suu herself has. If you are a fan of this series, please consider joining us! Navigation is at the bottom of the page. This fanlisting was last updated on 02nd April 2019 and is managed by Enthusiast. There are 17 members from 12 countries, with 0 member(s) waiting to be added. The newest member of the fanlisting is Ren. If you would like to become a affiliate, I will accept any Clamp related fanlistings. Thanks! Please e-mail Rems with the details if you're interested.